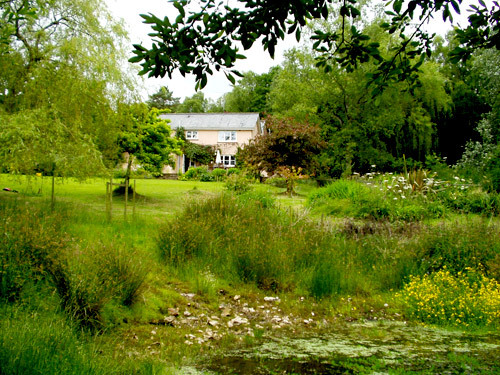 Ashculme House is set in the lovely Blackdown Hills on the Devon/Somerset border. It has six acres of grounds and surrounded by Wildlife Trust land. It is wonderfully secluded yet in easy reach (3 miles) of the pretty little town of Wellington. We keep our own pigs sheep and chickens to provide a jolly good breakfast if required. If the weather turns chilly we provide logs for a large log burning stove. The village of Hemyock on the River Culm is one mile away and has two shops, a good local pub and excellent tennis courts. There are two other decent pubs within easy reach at Culmstock and Clayhidon. The larger towns of Taunton and Exeter are about 30 – 40 minutes drive away. For nearby day visits both the south coast and the north are within easy reach, as is Exmoor and several National Trust properties, the nearest being Knightshayes and Killerton.